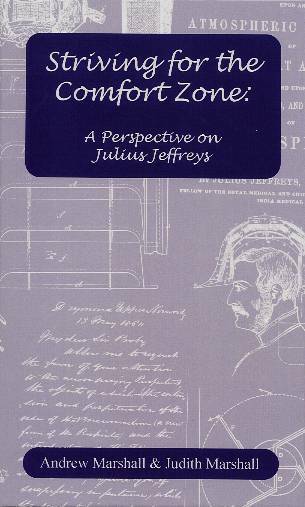 Almost forgotten for over 100 years, Julius Jeffreys was a pioneering Victorian scientist and doctor. His contributions to science and humanity stand shoulder to shoulder with those of his more famous contemporaries. This is the first book-length account of Jeffreys, whose career began as a surgeon for the British East India Company. There he advocated the use of Hill Stations, and designed an early air conditioning system, and heat resisting clothing and headgear. He devoted much time to personal climatic control, inventing the Respirator, a device for warming inhaled breath. It countered cold winter air, and eased the suffering of those afflicted with tuberculosis and other lung diseases. He also invented improved means to launch lifeboats, designs for sun blinds, and a method for freezing meat. A very religious man, he was highly critical of the Oxford Movement, and published a pamphlet criticizing their aims. He also believed that the army should be for defence only, making these beliefs known in his writings. Striving for the Comfort Zone will be of interest to historians with an interest in the Victorian period. It will be of particular interest to those interested in scientific and military history, the British Empire in India and New Zealand, and the history of Christianity. In addition it is of significant value as an historical record of the Jeffreys, Valpy and Fulton families. Download the "New Publication Announcement"